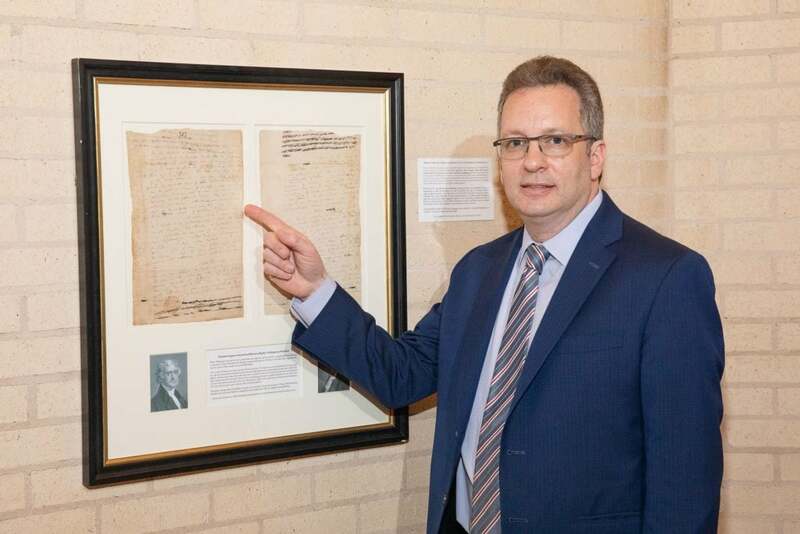 DSM, in partnership with the Dallas Public Library and Seth Kaller Inc., will display a collection of Revolutionary War and Founding Era documents at the Music Hall at Fair Park. They will remain on display during the Dallas engagement of HAMILTON, April 2 to May 5. The centerpiece of the display will be the Dallas Public Library’s rare, July 4, 1776 broadside of the Declaration of Independence. It was the first published version of the text, the first version to be made public and the version that most printers relied upon for their own editions going forward. There are only 26 known copies remaining in existence, including the one in the Dallas Public Library’s collection. It is the only copy in the western United States and one of only a few that are in good condition. In addition to the Declaration, Seth Kaller, Inc. and University Archives will loan an amazing collection of historic documents. One of Hamilton’s most revealing love letters to Elizabeth Schuyler, calling her “a little sorceress” who bewitched and rendered him “restless and unsatisfied with all about me,” is on display. Other documents include a first edition of the “Reynolds Pamphlet” (in which Hamilton admits to infidelity but vigorously denies financial crimes) that survived Eliza’s attempt to have them all burned. Also Hamilton’s important financial papers, and his draft letter rallying to defeat Jefferson at all costs after Washington declined to run for a third term. Original letters and documents of Hamilton, Washington, Jefferson, Burr, and more. Alexander Hamilton Jr’s annotated copy of the Federalist Papers. The exhibit is provided by Seth Kaller, Inc., of White Plains, NY, and University Archives of Westport, CT. A leading expert in acquiring, authenticating, and appraising rare historic documents and artifacts, Kaller has built museum-quality collections for individuals and institutions, as well as legacy collections for philanthropists to donate. He started his consulting business for collectors 30 years ago. Kaller said one of his most exciting discoveries was Hamilton’s love letter to Miss Schuyler, included in the Music Hall’s display. Kaller said he also handled Abraham Lincoln’s “House Divided” manuscript, signed copies of the Thirteenth Amendment, and the Emancipation Proclamation; as well as Robert E. Lee’s farewell to his troops. For more information visit AHamilton.com/. 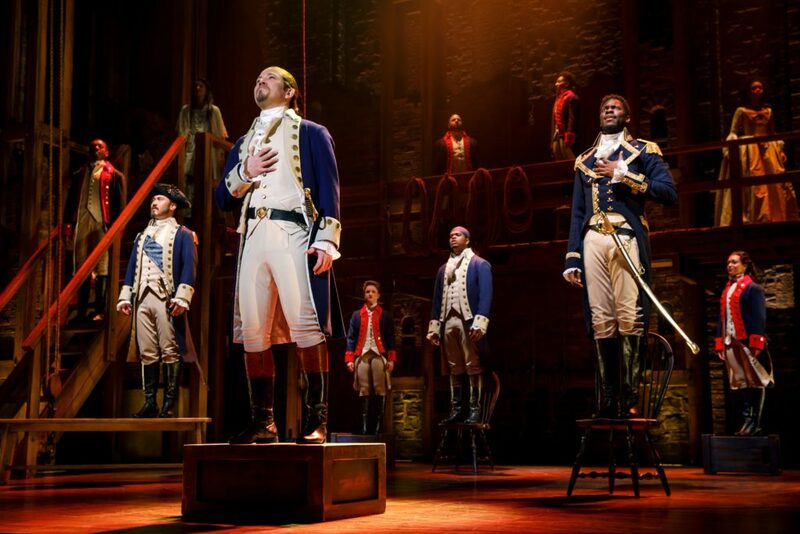 The unique collection will be on display, free of charge, in the lobby of the Music Hall at Fair Park (909 First Avenue) from April 2 through May 5 during regular box office hours and during each “Hamilton” performance. DSM encourages ticket holders to arrive as early as possible (suggested 1.5 hours before curtain) to ensure they will have enough time to view this collection. 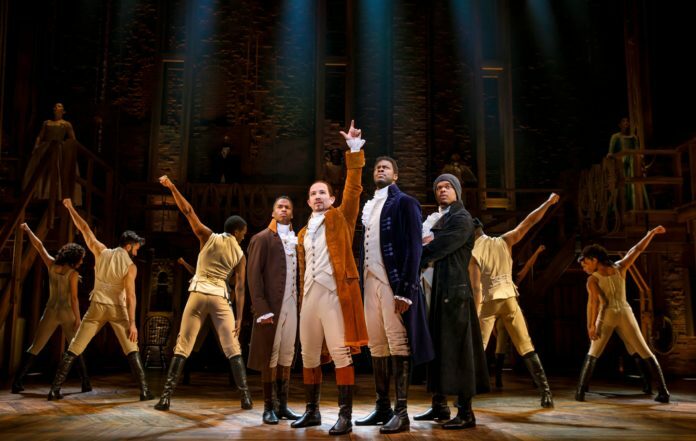 Tickets for “Hamilton” are on sale now online or by phone at 1 (800) 745-3000. They can also be purchased in-person at the Music Hall at Fair Park Box Office Monday through Friday from 10 a.m. to 6 p.m. and Saturday from 10 a.m. to 4 p.m. Patrons are advised to check for late release seats which may become available at short notice. In addition, the show is offering a digital lottery, with 40 tickets being sold for every performance for $10 each. More information and guidelines on the lottery can be found online.